In the midst of cold and flu season, it’s a good idea to examine a few of the ways that health-conscious people can naturally boost the body’s immune system. For centuries, there have been popular methods for avoiding all sorts of illnesses. Many folk remedies and ancient “cures” are based on solid concepts that have only recently undergone scientific investigation of any kind. 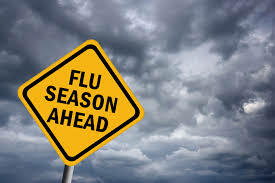 Natural immunity boosters fall into three general categories: lifestyle or behavioral changes that strengthen the body, herbal remedies that bolster the physiological immune response, and food-based approaches to beating back illness. In general, people who approach life with a can-do attitude and are open to fresh ideas and interactions with others tend to have stronger immune systems. 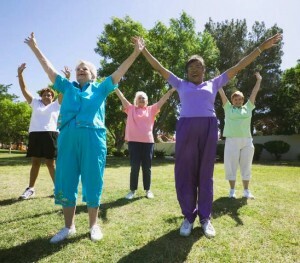 Lifestyle changes that can boost immunity include socializing, de-stressing, quitting the tobacco habit, keeping an eye on vitamin intake, getting enough exercise, and knowing how to eat properly. Studies in several disciplines have led researchers to conclude that people who are socially active and/or maintain at least one long-term relationship are healthier than those who are more reclusive. Reducing stress levels by setting aside time each day to go for a pleasant walk (not for fitness, just for relaxation), meditating, praying, taking a hot bath or a short nap can do wonders for the body’s ability to fight off viruses and infections that circulate each year. Doctors say that optimum vitamin levels go a long way toward girding the immune system, particularly vitamins A and D. Merely getting enough sunlight can provide the bulk of the D, while vitamin A can be found in most dairy foods. cycling, swimming and similar activities lead to better overall heart and immune system health. Knowing what to eat is an all important aspect for maintaining a high level of immunity to disease and minor illnesses. Nutritionists use the acronym BLOCS to remind their clients about several foods that help the immune system in particular. The letters stand for broccoli, lemons, oranges, carrots, and strawberries, all of which are packed with anti-oxidants and which work to support essential bacteria (the good kind, not the bad stuff). Quitting a tobacco habit might temporarily increase a person’s stress level, but in the long-run it is one of the best stress reducers in the lifestyle category. More specifically, smoking causes the human body to become weaker in the face of just about any illness or potential disease. The short version of the story about herbs and immunity is this: medicinal plants have been used by humans to stay healthy since before recorded history. Here is a quick rundown of the primary herbs that are used to add power to the human immune system. Two herbs that have been popular on several continents are aloe and astragalus, both of which can be found in health food stores and consumed directly or in tea and other drinks. Cat’s claw is commonly taken for painful joints and to bring blood pressure back to normal. 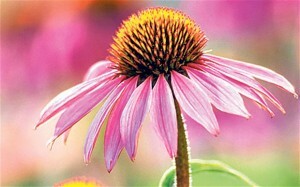 Echinacea is used in tea and as a supplement for colds and more serious respiratory infections. It is also said to be very good for the skin. One of the best tasting herbal remedies for flu, fevers and colds is elderberry, which can even be taken in order to weaken the flu virus after it has already set in. Most people know about ginseng’s ability to boost energy levels, but the herb is also a reliable weapon in the battle against arthritis and bronchitis. Licorice root is an extremely sweet herb that works to naturally cleanse the digestive tract, restore proper cholesterol levels and enhance the body’s immune response. Many herbs can be taken in their natural form, as additives to drinks or salads; and most health food stores offer a wide range of herbal remedies in caplet or powdered form. Vitamin D: Mackerel, sardines, tuna, salmon, and foods that are fortified with vitamin D, like cereals and orange juice. Folate: Peas, beans, most greens. I’ve got herbaphobia now. Dr’s have no clue about herbs. They’re brainwashed in med school herbs are poisonous and medicines are better. How do I fix this dilemma?. I want to use herbs that are proven to work not it may work. I avoid all cereals since 95% are loaded with “stuff” that doesn’t belong there. Unless I know where the milk comes from, I won’t touch that. All my food is free-range and cooked at home. At 79, I am still involved with things that the local In-The-Box doctor cannot deal with due to the rotten Big Pharma corruption of medical schools. As for stress, the older I get, the more time I am forced to waste sitting while awaiting my next medical appointment. Then the BP is up & you know the rest. Also the level of respect seems to erode..